We have three pairs of tickets to give away to three lucky winner for 3 Hail Mary’s at the Olympia Theatre on the 9th of May. To be in with a chance of winning, tell us who wrote 3 Hail Mary’s? Email your answer to nomoreworkhorse@gmail.com, mark the subject line of the mail 3 Hail Mary’s and include your name and phone number. All entrants must be over 18 and tickets are non-transferable. One entry per person only. Closing date for entries is Monday the 23rd of April at 1pm. The comedy that is taking Ireland by storm, ‘3 Hail Mary’s’ comes to The Olympia Theatre, Dublin for three performances only on Thursday 9th, Friday 10th and Saturday 11th May, 2019. Tickets from €25 including booking are on sale. Set in an Irish nursing home in 2016, ‘3 Hail Mary’s’ is a must-see rip-roaring comedy that will have you in tears of laughter. Written by Tommy Marren, writer of the highly-acclaimed comedies ‘It’s The Real McCoy’ and ‘Nobody’s Talking To Me’, the play centres around three characters – namely Mary O’Toole, Mary O’Neill and Mary O’Brien. The three Mary’s have lived in this nursing home for over ten years and have become great friends. However, due to circumstances beyond their control, they are being moved to three separate nursing homes and the play is set around their last few hours together. Mary O’Toole is a very religious character who has great devotion to Our Lady of Knock. Mary O’Neill is a Londoner who met and subsequently married a Kerry man and moved to Ireland. Mary O’Brien is a retired nurse who has travelled to almost every corner of the world! With dozens of hilarious one-liners the play moves with pace throughout as the three Mary’s laugh, cry, argue, sing, dance and recount their life experiences. From statues to fishing rods, a would-be music composer, an enthusiastic and very posh ‘volunteer’ and a very frustrated nursing home owner this play has everything! 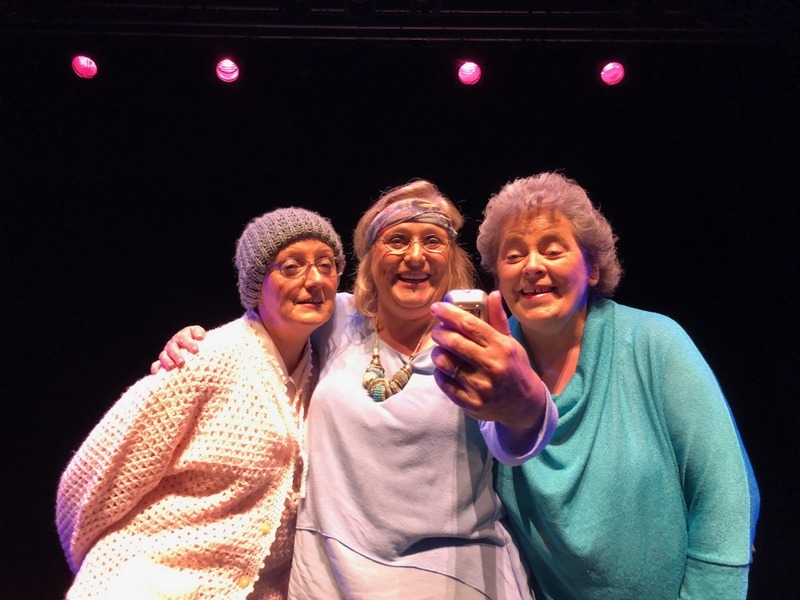 You can expect a number of twists throughout and the play finishes with all three Mary’s performing an original song written by Tommy Marren entitled ‘I’m Really Still The Same’ which is written from the perspective of a person who has dementia asking loved ones to treat them the same as they always did.